The world is now entering the third wave of digital innovation, leveling up out of the internet & connectivity era into what the World Economic Forum is calling the “Fourth Industrial Revolution”. Since digital innovation began back in the 1980’s with the first wave – the era of personal computing – Australia, & other countries too, with some pockets of success aside, have largely failed to cash in on the opportunities it has brought compared to many other countries. Yet, we all have the talent to maximize the potential share talent can bring, here in Australia, we have an industry worth $315 billion in the next 10 years according to the CSIRO Data61 Report & we need to ensure that we don’t miss out! 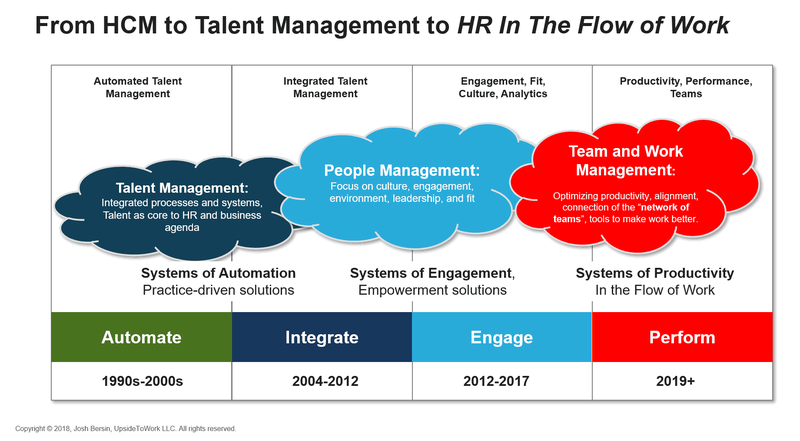 Yet, whilst technology can improve productivity, the significant amount of turbulence in the business environment is causing most organizations to grapple with the complexity & unpredictability of what it might mean to “cash in” on their talent, within a globally changing workforce & environment. The third wave is flagged globally as a “$10-$15 trillion global opportunity” & alphaBeta’s report has identified a potential share for Australian industry worth $315 billion of that over the next 10 years & that there are even more digital opportunities opening up in the next 10 years. Right now, ABS & OECD stats show Australian digital innovation has so far managed to capture just 7.4% of its GDP – for the rest of the world’s advanced economies, that figure is at 11.2% of GDP & running away. So what can you & your organization do about it, no matter where you are located. Outlining a clear why it is important for people to adapt & grow in the face of disruptive change. Outlining an inclusive vision, mission & strategy that support speed, agility, learning, collaboration, teaming & networking – as the key levers for effecting organizational productivity & performance improvements. Aligning behaviors, systems, processes, artifacts & technological changes outlined in Josh Bersin’s “Flow of Work” diagram below. Create new ways of interacting with people & stakeholders to be present to, & hear their concerns, acknowledging that many are becoming psychologically uncomfortable, anxious, confused & conflicted about the speed & constancy of change. Businesses & their people are feeling overwhelmed – yet the shift to productivity requires future human intelligence’s & technologies to simplify our work lives. The pace of work is accelerating – yet the shift to digital is putting even more pressure on business leaders & their people as existing career & organizational models are continuing to evolve. We are all way too busy – we are now negotiating with an electronic boss every minute: our phones. AI is making systems conversational – yet the growing use of AI-related technologies is expanding as their expertise in conversational robotic intelligence powers, casing us to question as to how will they be designed & implemented? Design, critical & creative thinking are here to help – making learning a work-related intervention rather than a work interruption. Coaching people to improve their performance & achieve better results, especially in applying new ideas “on the job” & implementing high value projects. Mindsets influence & capture how we think, feel, decide & how we act as individuals, teams & as whole organizations. Our ability to connect to ourselves, & to others, how we feel, think & make choices & on the behaviours & actions we take & the results we get. Our mindsets are unconsciously managed by our autonomic nervous system – which means that people’s readiness & resistance are unconscious & neurologically based. This requires very specialised & skilled coaching support, to align, enable, empower & maximize talents potential in this new world. Disengagement & Avoidance; which results in creating a culture of blame, shame, retribution & envy where no-one flourishes. Complacency & Comfort; resulting in inertia & innovation permafrost where no-one progresses or evolves. Alignment Issues; where people feel disconnected by lack of clarity to the why, meaning & purpose of the desired changes so seldom bring their best selves to work. Emotive & Safety Issues; where people are fearful & anxious about the change & their ability to adapt, control or survive within this brave new world so shut down to possibilities change might bring. Cognitive Blindness & Biases; where people are negative & cynical about change, because they have heard it all before or make up their own meaning about it. Distortion; where the lack of clear communication, trust, meaning & a cultural legacy of punishment & retribution inhibits people’s abilities to take smart risks, make mistakes & learn from failure. To then provide people with specialized & empathetic coaching support to pull people towards cultivating useful, powerful & resourceful mindsets & more useful responses in times of organizational change & growth. Including enabling them to take personal responsibility towards developing & applying new foundations for innovation mindsets. To then support them to learn by doing, on the job, so that they know what it means to be & think differently in any situation to improve their performance & productivity. Looking outwards – engaging more with people, customers & stakeholders. Prizing delegation & not controlling – sharing decision making. Encouraging boldness over caution – taking risks, failing fast & learning. Taking more action, less planning – committing to adaptation & continuous iteration. Valuing collaboration over individual effort. Make learning a work-related “on the job” intervention through customised blended learning programs that are team & project based. Develop a safe learning environment where people feel safe & trusted to experiment & learn from their mistakes. Provide formal, structured mentoring & coaching support that fosters & enables fresh & different thinking, creative problem solving & collaborative business practices. Incorporate, promote & reward specific, the core desired mindset shifts, behavioural changes & new business practices. 25% are highly confident that their workforce has the skill sets needed for the future. 14% are highly confident in their ability to harness the changes associated with Industry 4.0. Flourish in uncertain times, strategically finding the right balance of humans & machines, in ways that complement each other to improve both performance & productivity? Re-design roles & cultivate people’s multiple intelligence’s & maximize your organizations’ potential to adapt & grow in disruptive times? Join the next free monthly webinar in our Making Innovation a Habit Series – Innovation Coaching. It’s on Wednesday, 12th December at 5.00pm Sydney & Melbourne, 7.00am Amsterdam, 6.00am London, 10.00am Dubai, 2.00pm Hong Kong. Register Now.